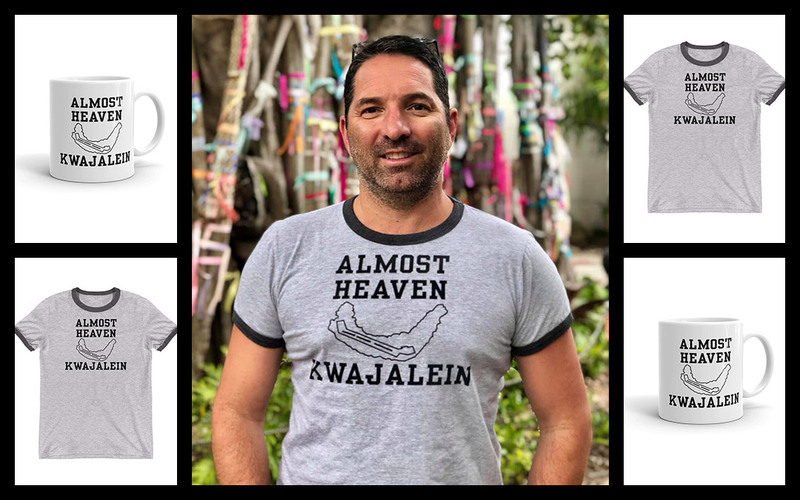 I just wanted to make a special post for all of you that either purchased the “Almost Heaven – Kwajalein” t-shirt or gave me words of encouragement to re-create the original design from the 1970’s. 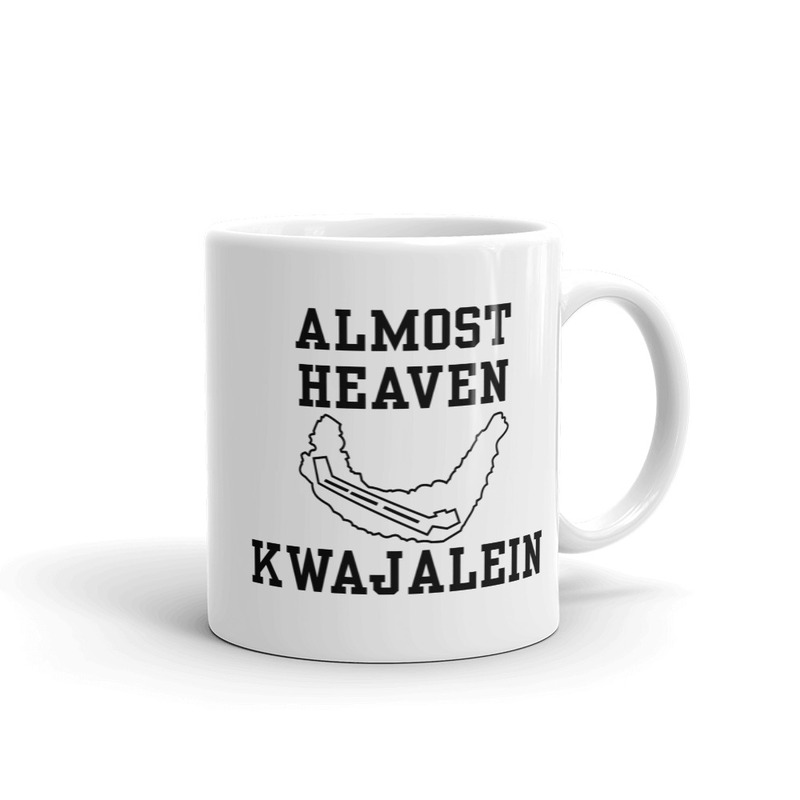 This design has been, by far, the most successful and best selling designs at The Kwaj Shop. I am grateful. There are two people that I want to personally thank for this success. 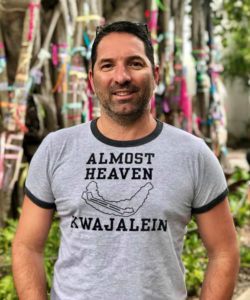 First of all, this project would not have been as successful as it has been if it weren’t for Steve Avelar for sharing a photo of his dad’s worn-out shirt (and story), which gave me the inspiration to make the redesign. Second, but certainly not last, thanks to Daniel Fruciano (pictured), who not only was one of the first purchasers of the shirt, but who also bought several shirts for his friends and family who also have a “Kwaj connection”. 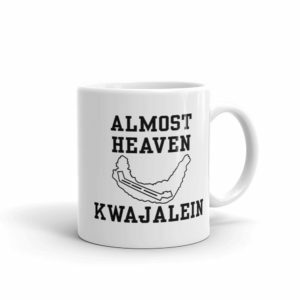 20% OFF FOR PHOTOS: I’d LOVE to share a photo of you wearing this shirt or any other Kwaj Net shirts that you may have purchased from The Kwaj Shop. If you send a photo, and allow me to use it online, I’ll happily give you a personalized 20% coupon for future purchases at The Kwaj Shop. If you are interested in doing so, please email those photos to: TheKwajShop@kwajnet.com I will reply with your unique coupon code. I appreciate your patronage and your overall support of Kwaj Net. You guys ROCK!